Starting a business is overwhelming. You think that it might calm down your nerves a little bit if you start talking to other business owners. Oftentimes this might even make things worse. They start giving advice and telling you what you should and shouldn’t do. You also begin to compare yourself to other entrepreneurs and business owners and you realize that you still have so much to do. You realize there is so much in running your own business. You have to worry about finances, rent, utilities, paying for product, figuring out your margins, paying for employees, advertising, marketing and blah blah blah. Wow! You seem completely overwhelmed! There really is so much you have to do, maybe you shouldn’t do it! And that’s how people get sucked out of their dreams! Just like that you don’t have your dream anymore, you talked yourself out of your dream. 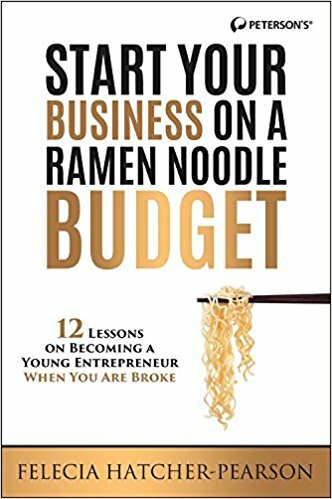 By educating yourself, you are actually making yourself less likely to try to accomplish your goal of opening up your own business. I have some advice for you. Put down the fricken books and don’t educate yourself out of your dreams. The first thing you want to do is learn everything you can about everything with business, because that will make you more successful, right? WRONG! If all you are doing is reading then you aren’t actually doing, testing, making mistakes, learning from them and thus allowing you to make better steps forward. The KEYS (in my DJ Kallid voice). Aquire knowledge as fast as possible then put it into action. Stop reading and start doing. Although there might be some answers you can find in books, they aren’t going to have all the answers. Every business grows differently and every company has to find their own path. You will never be able to find what path that is until you try to do things. It might be scary, but experimenting is the best way to try to do that. You have to try different ways in doing things in order to figure out which ways work for you. 3 Great online resources that allow you to quickly get the info you need and be able to deploy it, so that you can move pass ideas and get to execution as quickly as possible. When I was educating myself in the world of business, my mentor finally told me to just put down the books and get to work. This really surprised me, but I was very grateful for this advice. By continuing to read I was actually scaring myself out of my dream and I was postponing my business (without even knowing it). The more I read, the longer it would be until I would start. I was so glad that I put down the books and just started experimenting things to figure out what worked and what didn’t work for my particular business. Deciding to stop studying and get moving was the best decision I made.